The popular Canadian Lawyer Top 25 Most Influential in the justice system and legal profession in Canada is back for the third year. The Top 25 was one of our most-read, and most commented-on, features in both 2010 and 2011. As expected, not everyone agrees with our choices, but it is always worthwhile to get our readers into a debate on such matters. This year, we used the same format as in 2011 asking for nominations from legal groups and associations representing a variety of memberships and locations; winners on last year’s Top 25 list; our general readership; and our internal panel of writers and editors. We received about 75 nominations, which the internal panel then whittled down to just over 50 candidates. We then posted the list online and once again asked our readers to participate, with just under 700 people voting in the poll. The final list is based on that poll with input and the last word from the internal panel. The Top 25 Most Influential is not just about bright stars, big deals, or number of media mentions — although those may play a part. We have endeavoured to select lawyers who have been influential within the profession as well as Canadian society over the last 18 months. Closing a high-worth deal, for instance, doesn’t necessarily have a big impact beyond that particular business or industry. The Top 25 is about a level of respect, the ability to influence public opinion, and help shape the laws of this country; contribution to the strength and quality of legal services; and social and political influence and involvement. It can include politicians and regulators who are lawyers. Once again, we split the list up into five areas of influence, changing them slightly from last year, and have chosen the top five in each of: corporate-commercial law; changemakers; criminal and human rights law; government, associations, and non-profits including public inquiries and officers of Parliament; and outliers, a catch-all category for anyone who’s a lawyer and has been influential over the past 18 months but doesn’t fit into the other categories. Nominees were put in the category in which the individual exercised their influence in the time period. Some of last year’s winners are back, such as law professor Alan Young, criminal lawyer Joseph Arvay, the University of Ottawa’s Michael Geist, Nathalie Des Rosiers of the Canadian Civil Liberties Association, as well as Privacy Commissioner Jennifer Stoddart and outgoing Competition Commissioner Melanie Aitken. 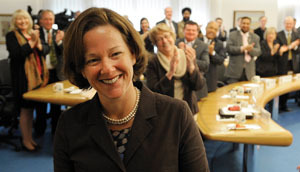 This year’s list also sees new movers and shakers including Alberta Premier Alison Redford, NDP Leader Thomas Mulcair, and a group of highly respected changemakers. We were also pleased this year to get a number of nominations from the aboriginal community with Rama, Ont., lawyer Dianne Corbiere making the list for her work in advocating for the cause of First Nations. So without further ado, here are the 2012 Top 25 Most Influential. They are listed with the top vote getter in each category first, followed by the others in alphabetical order. Disagree with the choices? Did we miss someone obvious? Leave your comments below or e-mail it to clb.cleditor@thomsonreuters.com. We’ll be doing it all again next year. The straight-talking Ontario chief justice is now handling a massive Nortel Networks Corp. mediation, once again setting the bar in areas of corporate-commercial law. 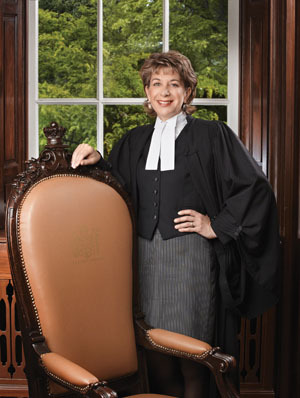 Winkler was appointed chief justice of Ontario in 2007, following 11 years with the Ontario Court of Justice (General Division) and three years as regional senior judge for Toronto region. Winkler has spent much of his career on the bench pushing for improved access to fair, timely, and affordable civil litigation in the justice system and he continues to fight that battle. 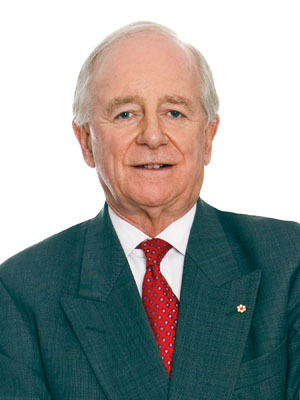 As he kicked off the mediation over the distribution of Nortel’s almost $9 billion in assets in April, he reminded a room full of bankruptcy lawyers that their aim should be on getting as much of that to creditors, including the company’s pensioners, rather than frittering it all away on long-term litigation. 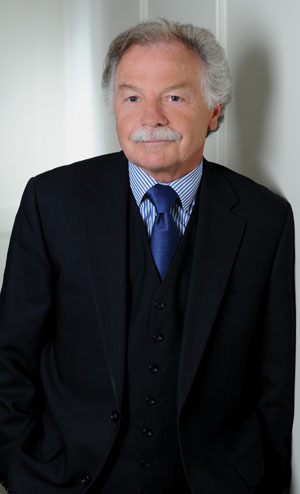 And as Winkler heads toward retirement, plans are already underway to continue his legacy by establishing the Winkler Institute for Dispute Resolution and the Winkler Chair in Dispute Resolution at Osgoode Hall Law School. Du Vernet Stewart, Mississauga, Ont. Christopher Du Vernet led the charge to create the new tort of intrusion upon seclusion as counsel to plaintiff Sandra Jones in Jones v. Tsige. The Court of Appeal described the new tort as: “One who intentionally intrudes, physically or otherwise, upon the seclusion of another or his private affairs or concerns, is subject to liability to the other for invasion of his privacy, if the invasion would be highly offensive to a reasonable person.” This decision will have far-reaching effects in many areas of Canadian law including privacy, labour and employment, and even family law. While it is unclear how the courts will interpret this new tort, it also creates a huge potential for class actions because economic loss or harm are not required to be proven. In one of the biggest moves in the corporate-commercial law world in the past year, Yves Fortier, a Rhodes Scholar, decided after about 50 years of service to leave his longtime firm Ogilvy Renault LLP (now Norton Rose Canada LLP) to strike out on his own. He is one of a growing number of international arbitrators who are going it alone in order to avoid the conflicts inherent in being part of a major law firm. In May, the former ambassador to the United Nations was named chairman of the World Bank’s sanctions board, an appeal tribunal for contested cases involving corruption. He was also instrumental in the launch of Arbitration Place in Toronto, the first centre for international arbitration in the city. Partner, Siskinds LLP, London, Ont. 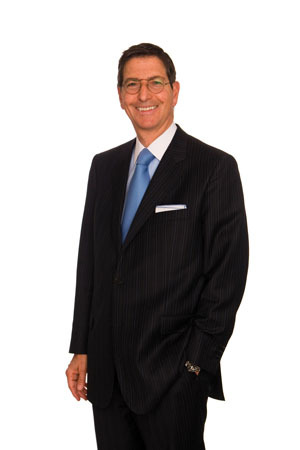 Lascaris is one of Canada’s most prominent plaintiff class action lawyers. 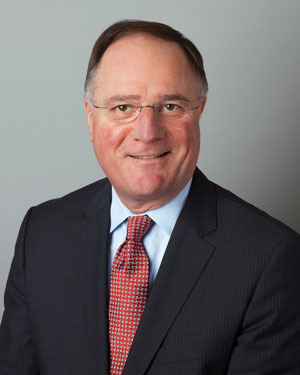 He is the leader of Siskinds’ securities class actions team which, in 2010, recovered more settlement money for plaintiffs in securities class actions than any other law firm in Canada. His input and opinion is sought after by news outlets across the country and he was recently on The Lang & O’Leary Exchange to talk about the recent lawsuit against SNC-Lavalin. He is a member of the OSC Continuous Disclosure Advisory Committee and is on the board of directors for the Unity Project for the Relief of Homelessness in London. number of controversial decisions such as his recent order that a defendant must file a defence before the certification of a class action. His decisions have caused significant controversy among the class action bar but they are setting out guidelines that will affect the future of practice in this area in Canada for years to come and thus will also have a huge impact on the Canadian public and its ability to get relief through the Class Proceedings Act. 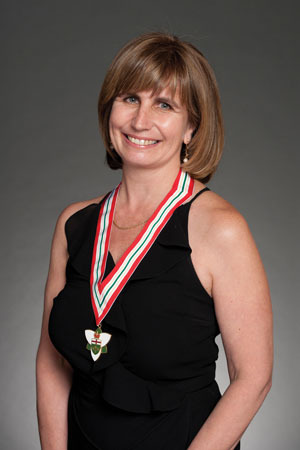 A family law lawyer, Laurie Pawlitza wrapped up her two-year stint as treasurer of the Law Society of Upper Canada in June — only the third woman to hold the position in the LSUC’s 214-year history. She has been a bencher since 2003, and was a director of legal insurer LawPRO for five years. Her knowledge of the issues facing the legal profession runs deep and she has been instrumental in finally addressing the articling crisis in Ontario with the first meaningful step of putting together a task force and really starting a dialogue within the profession on how to fix the issue. 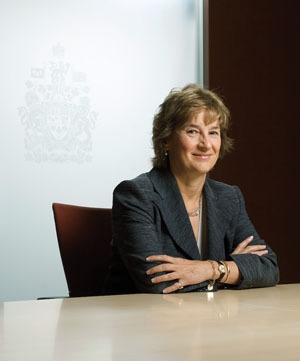 As co-chairwoman of the law society’s retention of women in private practice project, she has also played a key role in launching the Justicia program and creating a variety of other support systems for women lawyers at firms of all sizes in order to help them continue their careers in private practice. Partner, Nahwegahbow Corbiere Genoodmagejig, Rama, Ont. 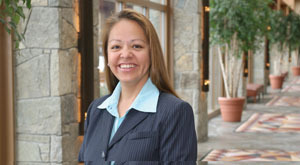 Dianne Corbiere is a member of M’Chigeeng First Nation and has been a partner with her firm since 2000. She is a past president of the Indigenous Bar Association and is the chairwoman for the National Secretariat Against Hate and Racism in Canada. 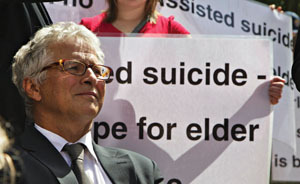 Corbiere is considered a strong advocate for the cause of First Nations. 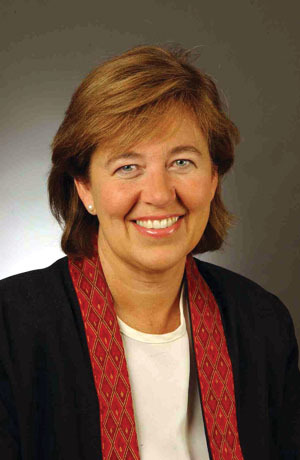 During her time as president of the IBA, she was instrumental in advocating for Aboriginal inclusion in the appellate courts of Canada and the revitalization of indigenous traditions. Rosemary McCarney has had an extensive international career in law, business, and the not-for-profit sector. She has worked in more than 100 countries and is recognized as an influential leading executive in the NGO sector and has been named one of Canada’s Most Powerful Women. McCarney practised corporate law in the United States but 20 years ago returned to Canada to co-establish an international development consulting firm with a focus on international trade and investment work and an emphasis on the role of women in international development. Recently, she has been particularly active in the movement to empower young girls in Canada and around the world. A former attorney general of the province, Geoff Plant has spoken out bravely and boldly on many social issues that affect British Columbia, including housing, homelessness, and drug use. He has always put citizens’ legal and electoral rights first and is a keen advocate of aboriginal rights. In February, he was one of four former B.C. attorneys general who penned a letter to the current AG in support of legalizing marijuana. He has also been quite vocal in his calls on the province’s judiciary to engage constructively in the B.C. government’s ongoing judicial reform initiatives rather than just stand for the status quo. U of T’s access to middle-income justice initiative, a multi-pronged initiative aimed at addressing the growing problem of middle-income access to the civil justice system in Canada. In many other ways, he has been at the forefront of these issues and a leader in the profession of law: He is a founding director of the Centre for the Legal Profession and has been a member of the steering committee of Ontario’s joint civil legal needs study, and served as research director for the Law Society of Upper Canada’s task force on the independence of the bar. 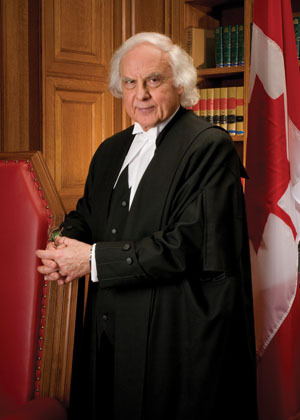 Justice Morris Fish has been a judge of the Supreme Court of Canada since 2003, but his tenure is coming to an end — he reaches the mandatory retirement age of 75 in 2013. 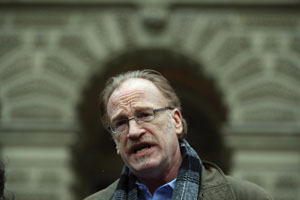 As a recent Globe and Mail profile suggests, in recent years he has become the court’s lone champion of the rights of the accused, increasingly finding himself in dissent. He has not been shy in criticizing his colleagues. In the 2007 case R. v. Singh, Fish chastised the majority for eroding the right to silence. In R. v. Morelli, he appreciated the tremendous capacity of modern technology to assist the state in intruding upon individuals’ privacy rights. “It is difficult,” he wrote, “to imagine a search more intrusive, extensive, or invasive of one’s privacy than the search and seizure of a personal computer.” Fish is a team player but not afraid to use his powers of persuasion on the issues that matter to him, particularly when they affect the rights of the accused. 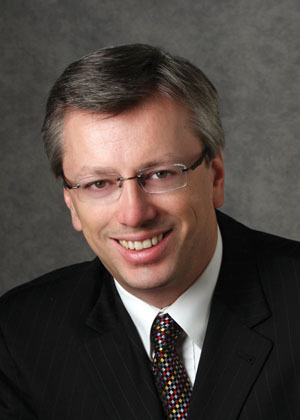 One of Canadian Lawyer’s Top 25 Most Influential in 2010 and 2011, Joseph Arvay continues to push the boundaries. 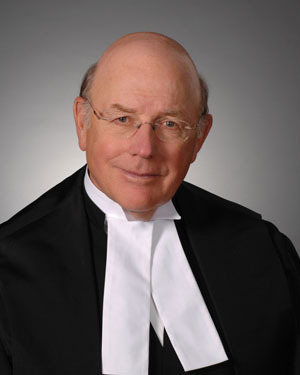 His most recent success was arguing and winning at the British Columbia Supreme Court that the Criminal Code provisions prohibiting assisted suicide were unconstitutional. He is also the lawyer who fought the federal government and won in the Insite injection case at the Supreme Court of Canada last fall. This past year he was awarded the B.C. Civil Liberties’ inaugural Liberty Award for legal advocacy in service of human rights and civil liberties. He continues to take on some of the most socially complex and divisive cases in Canada, making way for change and improving the lives of Canadians, especially those on the edges of society. Trudell has been a vital and indispensable part of two national endeavours, on the justice system and access to justice, particularly on the criminal side. As its chairman, he regularly represents the Canadian Council of Criminal Defence Lawyers before Parliament and is always ready to address issues of legislative change and the health of our system of justice. He is a tireless advocate for both protection of our criminal justice system and its reform with a particular passion about the issue of mental illness and addressing those with mental illness who appear in our criminal courts. On this, he has been very vocal in relation to the government’s recent omnibus crime bill. On the Top 25 since its inception, Alan Young’s case for the legalization of prostitution wins another victory and marches on to the country’s top court. He has brought constitutional challenges to Canada’s gambling, obscenity, bawdy-house, and drug laws and for more than a decade has provided free legal services for people whose alternative lifestyles have brought them into conflict with the law. 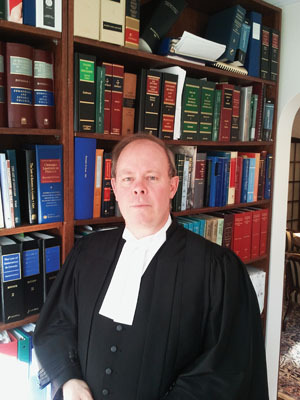 He is also the director of the Osgoode Hall Innocence Project, which involves LLB students in the investigation of suspected cases of wrongful conviction and imprisonment. He played a major role in compelling the federal government to take action to recognize the medicinal values of marijuana through his representation of countless people suffering from AIDS, cancer, and multiple sclerosis who had been charged as a result of using marijuana for medicinal purposes. Minister of Justice and Attorney General of Canada, MP for Niagara Falls, Ont. 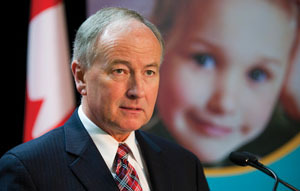 Whether you agree with them or not, you can’t deny that the changes to criminal law in Canada, led by Rob Nicholson, are making waves in both the legal profession and among the general public. With its majority, the federal Conservatives have pushed through their omnibus crime bill, perhaps one of the most controversial pieces of legislation this government has tabled. Nicholson has been at the forefront of selling it and also taking the heat from detractors. 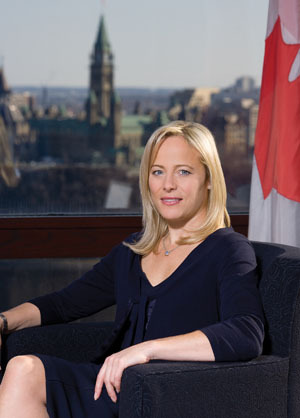 With pull behind the scenes, as the Hill Times recently noted: “Nicholson is the vice-chair of the second most influential Cabinet committee, Operations, which is responsible for providing ‘day-to-day coordination of the government’s agenda, including issues management, legislation and House planning, and communications.’” The minister faces some tough court battles with the fight against the legalization of brothels and the future of the assisted-suicide laws likely heading to the Supreme Court of Canada. Federal Competition Commissioner Melanie Aitken has been a thorn in the side of many businesses, including setting her sights on Visa and MasterCard for forcing merchants to accept customer use of high-fee points cards. She is part of the backbone of most big deals in Canada — including major ones like the Maple-TMX deal — and ensures fairness and competition for consumers. In the last year, her office has been responsible for handing out fines in the millions of dollars for price-fixing in the gasoline and auto-parts industries. Many considered it her role to keep business honest, but in late June, she announced she would be leaving the post on Sept. 21. This is her second appearance in the Top 25. In addition to being elected to lead the federal New Democratic Party earlier this year, Thomas Mulcair was instrumental in helping Jack Layton engineer the party’s “orange tide” in Quebec during the last election. He’s obviously got something going for him in the political arena as he’s now been the proud target of Conservative party attack ads. The ads take him to task over comments he made in the spring that the Alberta oilsands have given the country a case of “Dutch disease” because oil exports raise the value of the Canadian dollar, in turn hurting the economy in other parts of the country. 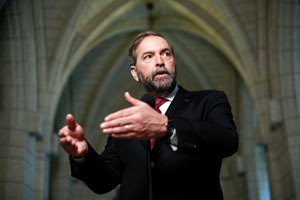 Prior to his career in politics, Mulcair worked in the Quebec provincial government, practised law, and taught at a university. Redford is Alberta’s 14th premier and a lawyer who is changing the way the province does things. She came from behind to win the election and present a more outward-looking face of Alberta. Also, she’s changing laws and has boldly cracked down on impaired driving, despite massive opposition. Speaking in Beijing in July, she noted Alberta is friendly to foreign investment and that China’s energy needs fit well with her proposal for a Canadian energy strategy that essentially unites provinces on resource development issues — and, of course, supports Alberta’s oilsands. Making her second appearance on the Top 25 Most Influential list, Privacy Commissioner Jennifer Stoddart continues in her role as a world leader in ensuring individuals’ rights are protected in the collection, use, and disclosure of personal information by an organization in the course of commercial activity. Over the past year, she helped derail the much-maligned lawful access bills with her pointed criticisms in her letter to Public Safety Minister Vic Toews. Last year, she concluded that an audit by her office found that Staples Business Depot stores failed to fully wipe off customer data from returned devices designed for re-sale, even though the company had assured it dealt with the issue accordingly. 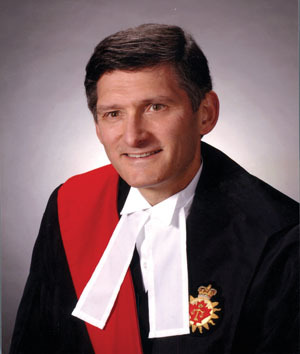 Chief Justice Robert Bauman authored the much-anticipated B.C. polygamy reference, and also took a strong stance on judicial independence when the provincial government launched its justice system modernization plan earlier this year. In a speech to the B.C. 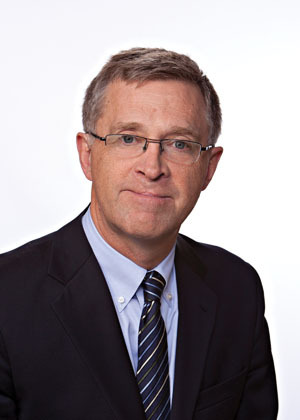 branch of the Canadian Bar Association last November, he warned that B.C.’s justice system is “threatened, if not in peril,” due to chronic underfunding from the government. He noted that many cases — some quite serious — are being thrown out, especially at the provincial court level, due to unreasonable delays. He also bemoaned cuts to the numbers of court clerks and other support services and called on lawyers to be ambassadors of the value of the legal system. Michael Geist holds the Canada Research Chair in Internet and E-Commerce Law. On the Top 25 list for a second year, he continues to be arguably the most influential voice on law and technology in the country, not only within the legal profession but also by educating the Canadian public through his newspaper columns and highly regarded blog. Over the past year, he has made public much of the debate of Canada’s new copyright laws, highlighting many of the issues and problems that otherwise would pass under the radar. Jordan Furlong is one of the few Canadians who constantly question the status quo and how law firms are run in this country. 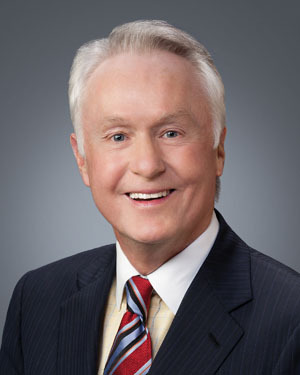 He is well-versed in marketing and social media as well as law practice management and is a sought-after speaker at professional events and conferences as well as writing on the topics at his Law21 blog. He has his eye on the ball when it comes to the future of legal practice in Canada and is more than willing to drag Canadian lawyers and firms kicking and screaming into the new age of the practice of law. 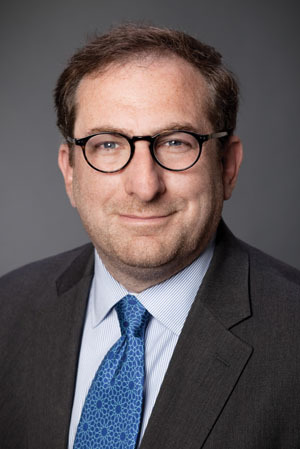 Cementing his influence in global law firm Norton Rose Group, Norman Steinberg became the first non-U.K. chairman of the group in May. His appointment, as Norton Rose chief executive Peter Martyr put it, “is a reflection of the globalization of the practice” of law and makes Steinberg one of Canada’s major players on the international scene. 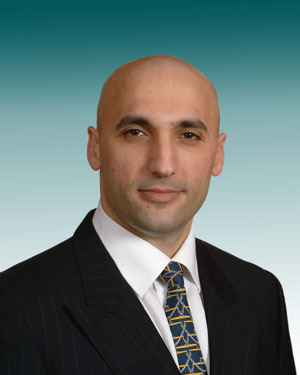 He has significant management experience as well as strong understanding of international markets gained from a practice focusing on mergers and acquisitions, corporate finance, privatization, and corporate governance. Prepared with assistance from Monica Russell. Geist's name in the list represents a credible recognition to public voice and open debate. His insights and objective comments on important IP and IT policy issues made his Blog an enlightening place to revisit. Many Congratulations! Curious that four of these individual currently hold judicial office. By virtue of being judges these individuals are no longer lawyers and should not be included in this roster. It is also disappointing that no lawyers from Manitoba, Saskatchewan or the Maritime Provinces are included. There are many lawyers doing important advocacy in those jurisdictions. A more representative list should be compiled in future. So there are no influential lawyers east of Montreal? There are no francophone influential lawyers and there are no influential lawyers in Manitoba and Saskatchewan? The contest is obviously Toronto-centric so why not call it that or don't have winners in a year where you don't get a reasonable distribution of nominations? They live where they live. I do not think it is an issue of where people reside at all. Perhaps next year you can recommend some nominees. Lots of selected lawyers were from Ottawa...so one could call the contest Ottawa-centric, if one expands on your thinking. Really, these people all did great things and should be in the spotlight. Well deserved nominees and make Canada a better place to be! Hopefully next year, we will find other equally strong candidates and they will get their turn to be recognized.